Quality in healthcare is to provide the right care to the right patient by the right person at the right time. Patient safety is an integral part of quality. Our primary goal, as a leader in healthcare services in Greece, is to provide high quality services and safety to our patients and their families. As a validation of this undeniable strategic commitment, we have chosen to pursue, on a voluntary basis, international accreditations and certifications, such as the Joint Commission International (JCI), International Organization for Standardization (ISO), OHSAS Project Group, the British Standards Institution (BSI) – as well as national accreditation systems, and we have already made considerable investment in the area of certification and quality of service. whether it meets specific and measurable requirements for quality of care and patient safety. JCI is an international accreditation standard for healthcare services. The preparation for this accreditation usually last around 2 years. It is a rigorous process that requires commitment and dedication from all employees in order to prepare and implement the procedures that fulfill the strict requirements of the standard. Once the preparation has been completed, a team of Joint Commission International expert surveyors (doctors, nurses and administrative employees) with international experience visit the hospital, to evaluate over 1,000 requirements of the standard on site. These requirements cover the entire range of patient-oriented hospital functions, such as accessibility, clinical assessment and care, anesthesiology and surgical care, education, and patients’ rights. They also encompass all supportive functions, such as laboratory and imaging services, infection prevention and control, medication protocols, facility safety and security, patient records and clinical information, human resources, and hospital management. Through interviews with employees, patients and the Administration, as well as on-site inspections of the facilities, documents and records, they rate each activity separately and reach an overall assessment for the efficiency of the hospital quality improvement and patient safety program. The JCI accreditation is valid for 3 years. If a hospital wishes to maintain its accreditation, it must be reevaluated at the end of that period. The hospitals that earn and maintain the JCI accreditation receive the Gold Seal of Approval©. Since 2010, HYGEIA Hospital is a member of a small elite circle of only 500 hospitals in the world to having earned Joint Commission International’s Gold Seal of Approval® for Hospital Accreditation by demonstrating continuous compliance with its internationally-recognized standards. The Gold Seal of Approval® is a symbol of quality that reflects an organization’s commitment to providing safe and effective patient care. Joint Commission International (JCI) was established in 1997 as a division of Joint Commission Resources, Inc. (JCR), a wholly controlled, non-profit affiliate of The Joint Commission. JCI assists international healthcare organizations, public health agencies, health ministries and other agencies in more than 100 countries. 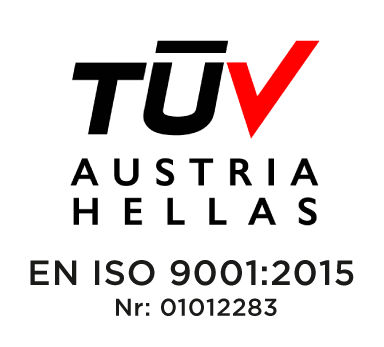 ISO 9001 is the most recognized quality management standard worldwide, setting requirements for developing andimplementing an effective Quality Management System. The HYGEIA certification encompasses the entire range of our clinical and administrative activities, demonstrating our ability to consistently provide healthcare services that meet the needs of our patients and their loved ones, as well as the current legislative and regulatory requirements. It showcases our commitment to constantly improve the services we offer, to minimize any deviations from our operational standards and best international practices through suitable quality improvement initiatives, and to monitor their effectiveness using quality measures. 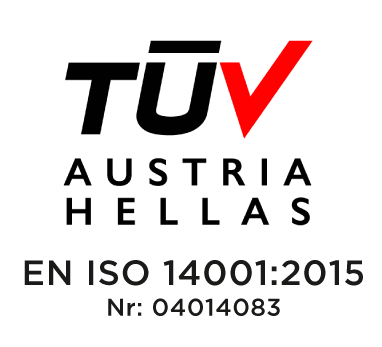 ISO 14001 focuses on identifying the environmental impact of our organization’s activities, with the aim of managing themsuccessfully and improving our performance in this field. The HYGEIA certification spans the entire range of our activities and demonstrates our commitment to prevent pollution, save natural resources and manage waste. It further highlights our environmental consciousness and our compliance to the legislative requirements in terms of the environment. OHSAS 18001 focuses on effectively controlling all professional risks for all stakeholders (employees, visitors, suppliers, thegeneral public), as well as improving our performance in the areas of occupational health and safety. The HYGEIA certification demonstrates our ability to identify, assess and manage all potential risks, by implementing programs that limit and minimize risks within the work environment, reduce accidents, continuously improve our performance on occupational health and safety issues, and systematically monitor and implement occupational health and safety legislation. HYGEIA implements an integrated Quality & Patient Safety Improvement Program that encompasses 3 managementsystems (quality, environment and occupational health & safety). To this end, we have managed to become registered to the British Standards Institution (BSI), since we fulfill all the requirements of PAS 99, the first technical specification for integrated management systems worldwide. ISO 15189 certifies the technical adequacy of a lab for conducting specific medical tests. The HYGEIA Central Labs, Clinical Pathology Lab and Cytology Lab have been accredited to this standard. Implementation of said standard demonstrates proper use and optimization of technical infrastructure, preparedness of the labs to adopt new techniques and methods, compliance to the legislation in force, continuous efforts to improve the services rendered, personal data protection, the ethics and professional conduct of the employees, and IT system security. ISO 22000 focuses on managing food safety, as well as fostering a safe and hygienic food preparation environment. Our contractor, Olympic Catering, has been certified for the HYGEIA facilities, demonstrating our commitment to fully comply with the requirements of the standard and the applicable laws and regulations.